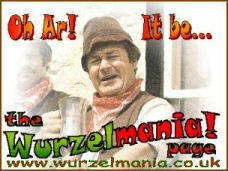 This is collection of sheet music of twelve of the 'best known' Wurzels songs (as viewed by the publishers in 1977). The collection consists of Combine Harvester, Twice Daily, Don't Tell I Tell 'Ee, Morning Glory, Base Over Apex, School Days Are Young Days, The Blackbird, Good Old Somerset, I Keep Smiling, Drink Up Thy Zider, Somerset Born And Proud and I Am A Cider Drinker. The book was published in 1977 around the same time as the Give Me England? album was released, but does not include any songs from that album. 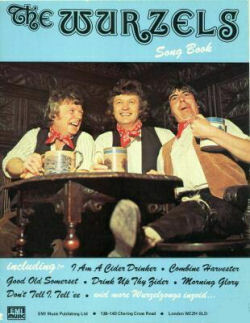 It also includes the music for two songs which had also appeared on the 1969 Favourite Songs sheet music book (Don't Tell I Tell 'Ee and Drink Up Thy Zider).